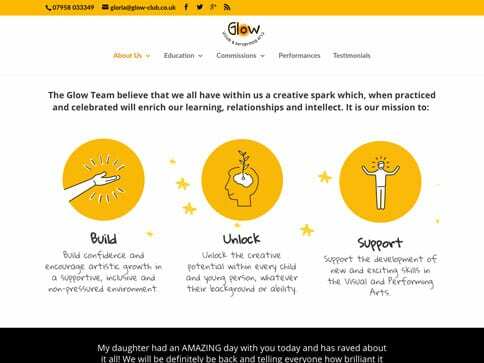 Glow is a Visual and Performing Arts Organisation that works in partnership with schools, universities, theatres, charities and other businesses. 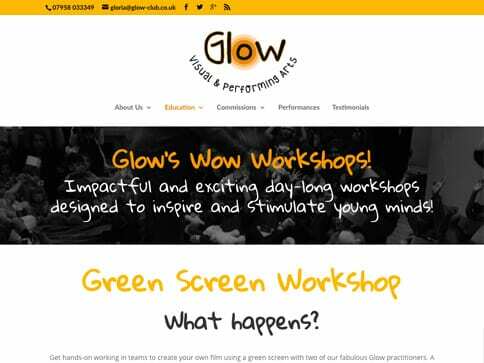 Delivering community projects, workshops, performances and educational programmes that are accessible to children of all ages, backgrounds and abilities. The design of the site has two main audiences, to engage children but also informative for teachers and other businesses . With easy navigation, bright colours coded sections we have created the perfect balance. We ensured it was accessible from all common screen sizes. The new site allows the client to update their own content easily.